Trying to recruit and train workers in Minto and area is a growing issue. Too many jobs, not enough people. Many employers are unaware of the resources and opportunities out there that could assist in their search. 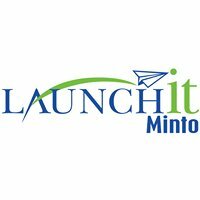 In an effort to help, LaunchIt Minto along with the Workforce Planning Board will host a "Business Support Expo" on Wednesday April 25th 5:30-8:30pm at, the Harriston Arena Community Centre. We would like to invite your organization to come and gain valuable knowledge, network and ask questions.